Has this summer flown by for you like it has for me? Today is my first day back after a full month sabbatical. Holy smokes, I need to do that more often. It’s amazing the clarity and perspective that comes from STILLNESS. When I look back over the last month, I realize I actually had time to do the things I was craving. I Mommed really really hard, I cleaned a lot (guilty pleasure)I napped, read fiction (gasp!) and let myself be bored. I will treasure this time to have lived and breathed in motherhood so deeply and I hope to use what I learned to help and support every kind of mom all over the world be more radiant and shine her light brighter. A little backstory on my sabbatical. About 4 weeks ago, we lost my step father unexpectedly. To say we were in shock was an understatement. In the midst of grieving and being there for my mom, I completely STOPPED. Like- everything stopped. 💗 And for the first time maybe ever I found myself actually present. Without going into all the details of the loss, I found myself on an impromptu sabbatical/time out, so I could assess my feelings and take stock. For the first time I let myself just BE. I read, journaled, prayed, napped and just chilled. It felt like the perfect way to process, grieve and stay present. This morning as I was journaling, I began to write out 5 things I’ve learned this summer as a mom, wife and human. 1. DOING LESS GIVES YOU MORE. I know this might sound counterproductive in a culture that tells us more is always better. More work, more activities for our kids, more money, more stuff equals more happiness. I'm here to attest that simplifying your to do list, calendar, home, and commitment is SO freeing. When you have less on your list, you have more time for what really matters. These days its pretty much just family for me. When you are not chasing someone's ideal of the perfect life you can practice contentment, genuine gratitude and actually enjoy your life instead of hurrying through it. I don’t want that body back. I love this body! It grew my favorite tiny human and it’s a miracle. I don’t want to go back to the way I was before. When I finally let myself off the hook, I felt SO LIGHT! SO FREE! And ya know what? I actually started making better food choices and moving my body more because I wanted to not because I had to! Look, I started my career as a health coach, I LOVE healthy food, working out and caring for my body, but doing it in a punishing way does not work. I promise. If you need to give up all your goals so you can finally love yourself as you are, permissions granted Mamma! See what happens to your body and your heart when you let go-you might find yourself healthier than ever. If you need a little crash course on this, I wrote an ebook you might love! I know you might be in the thick of it Mamma. Changing diapers, folding clothes, picking up thrown food off the floor. (is that just me?) And while this might be hard and taxing, you must put in perspective the big picture, and how blessed you actually are. I saw this quote on an email I read and it broke my heart. This is a reminder to take things in stride, cherish what you have and shush your mouth when you feel like complaining. Decluttering is so much more than cleaning out closets and pantries! When you have less in your home you have less to clean, less to stress over and you end up feeling more calm and present in your home. This topic is one of the mainstays of the Membership Community I’m opening up in the fall. If you need step my step help and support you are going to love the monthly focus areas and guides. If you feel lost and overwhelmed in your home, just start small- Here is a blog post I did to help you kickstart your daily home routines. 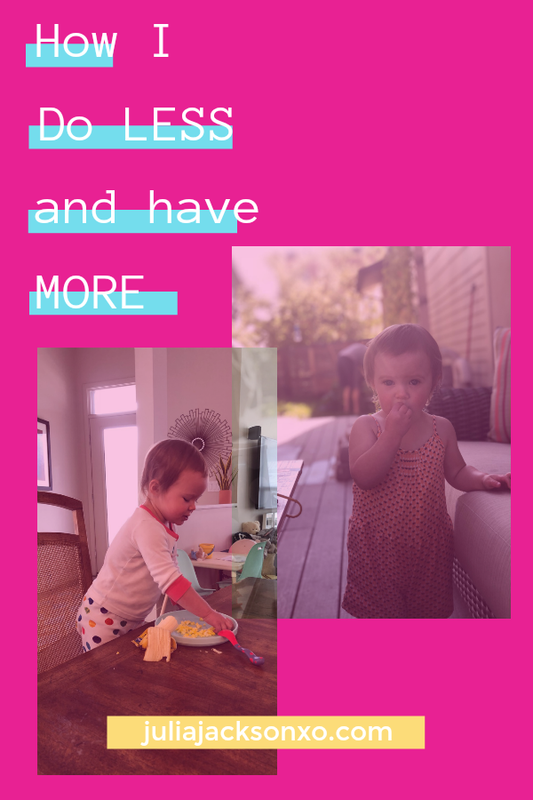 Bottom line is this: Less stuff=Less clutter in your brain. That makes you a more present, fun and joyful mom and human. I found myself recently with loads of time since I wasn’t working much. What did I want to do? Pick up a book! I know it’s kinda dorky but I love reading personal growth material, business books, mothering books, spiritual books and anything that helps me grow. Spending time and money on yourself is pivotal for your development as a mom and human. We are made to evolve and get better. So if you feel stagnant, instead of spending hours binging Netflix, pick up a book and spend time on YOU! You deserve it. That is another area of focus in the Online Membership--the nuts and bolts of how to make time for yourself and what areas create the most growth! 👯💗 over to you mama! What is the lesson you are learning in your motherhood these days? I would love to know! Write me back and lets chat!